We decorated this clay pot in 1998 when he was two years old. 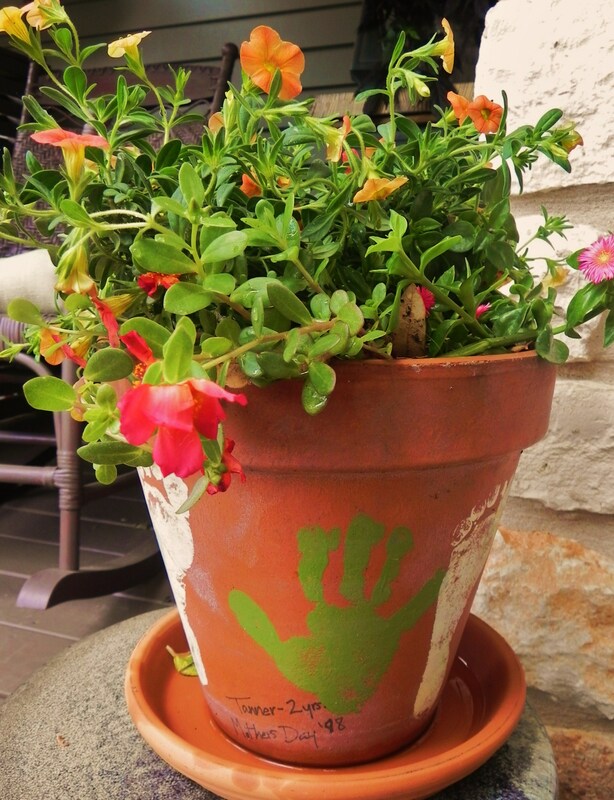 The idea came when we were finger painting on the patio…and that’s the paint we used fourteen years ago on an 8” pot. We made two more for his grandmother and great-grandmother and added cheery flowers for their Mother’s Day gifts. It’s a treasured memento for me today – thought I’d pass this simple idea along.